Beautiful bright echinacea- the lighting and contrast in this shot are lovely as well. 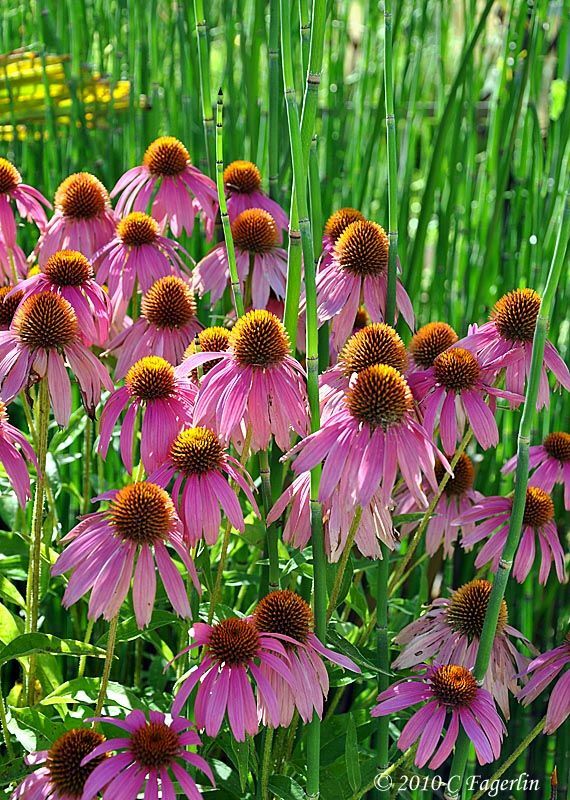 Gorgeous shot of the Purple Coneflowers, they are one of my favorites. beautiful--we have these cone flowers in our yard. Butterflies LOVE them. what lovely color. great photo. Oh those are gorgeous and so healing too! Absolutely beautiful shot. My cone flowers are not doing that well this year. I swear they remind me of dancers in purple costumes. I thank you all for your generous comments and for stopping by to check out a little corner of my garden. See you all next week I hope! Pretty capture, love the lighting! They look so much better than mine - some new pest seems to be appearing in the area. :( Happy WW! beautiful. I have salmon colored coneflowers in my front yard. Thanks for stopping by ladies! With our 100+ temps these need lots of water and a bit of shade is welcome also!